Google Chrome is just more than a shiny browser; it’s the next evolution of the web language—and as such, it’s here to stay. The question is where does Chrome go from here? It’s a much more robust Google product than any other browser on the web, and it continues to evolve over time. As Chrome advances, so are the persistent Flash games. The good news is that Chrome has already updated to support Flash games—so you find the game, you’ll be able to play it. And the bad news is that it lags and freezes sometimes and you’ll end up not running your favorite Flash game. But fixing this freezing issue isn’t hard. Read on. Clean up Chrome junk files, optimize PC for gaming, speed up computer and internet using the Intel Software Partner RegInOut System Utilities. Download it here to fix Flash Games Freezing in Chrome. 1. Keep your Chrome Up-to-date! 2. 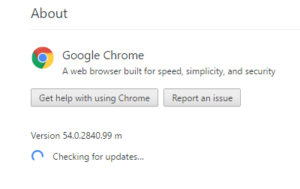 Scroll in and move cursor to Help → About Google Chrome → Install updates and restart Chrome. a). Nvidia: Visit nvidia.com → tap Graphics Drivers (it starts downloading your drivers) → Now wait and download the relevant driver. b). AMD: Visit http://support.amd.com → Download Now → Wait! It’s scanning your computer. 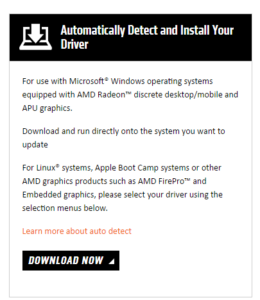 Now download your relevant Graphics Driver. Now find Use hardware acceleration when available → Check it → Restart Chrome. 2. Close All unused Tabs in Chrome: Browsing runs slow like hell when you open too many tabs. Close unnecessary/unused tabs. You can close tabs to the right as well.